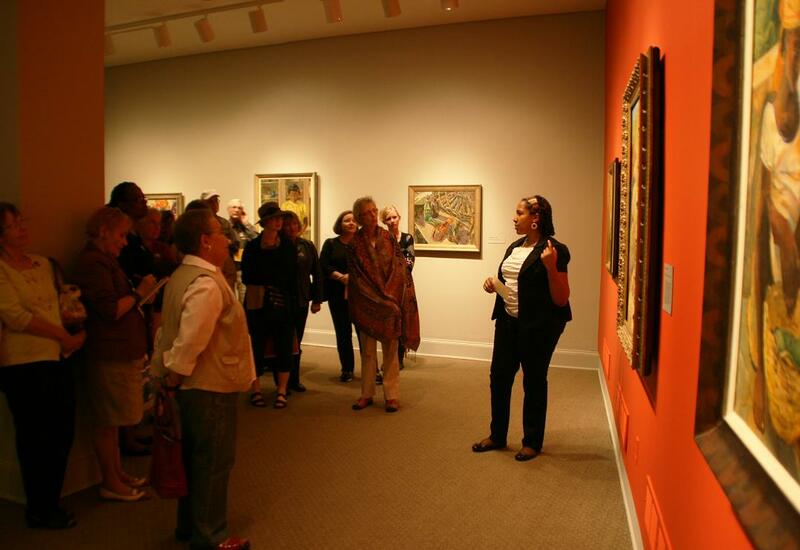 On October 13, NMWA members and friends enjoyed a special day of gallery talks about Lois Mailou Jones: A Life in Vibrant Color and a lecture by Dr. Tritobia Hayes-Benjamin, Associate Dean of the College of Arts and Sciences at Howard University and Director of the Howard University Gallery of Art. Dr. Benjamin talked about how Jones was a “tour de force of creative experimentation” who was “undaunted by the pervading attitudes of racism and sexism.” Jones continually strove for excellence throughout her life–from her beginnings as a student in Boston and teacher in North Carolina and at Howard, to her travels throughout Haiti and Africa–and was always expanding her techniques and interests. 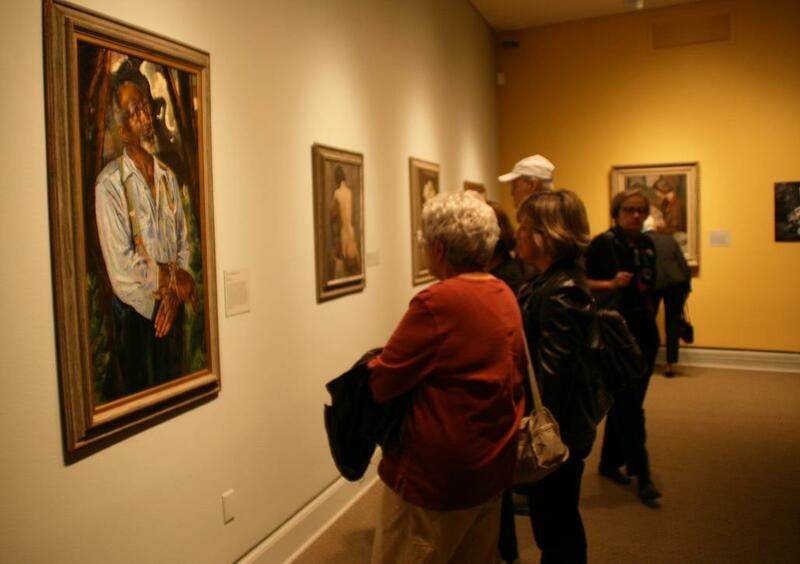 She was a major figure in the African American community and an inspiration to generations of artists. 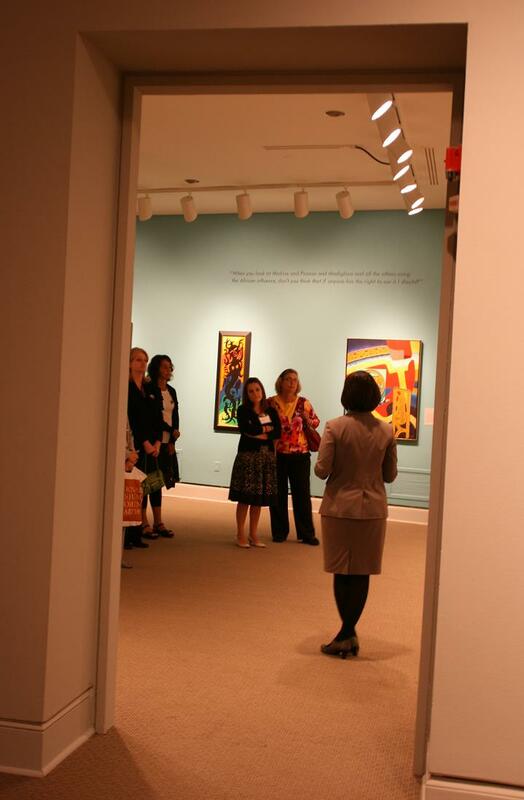 Melanie Spears, a graduate of Howard University who worked at the campus archives that holds Jones’s papers, was among the Howard students and NMWA staff that gave tours of the the beautiful exhibition. Members also received tours of Books Without Words: The Visual Poetry of Elisabetta Gut and double discounts in the shop and cafe. For information about becoming a member, call toll free 866-875-4627 or email member@nmwa.org. 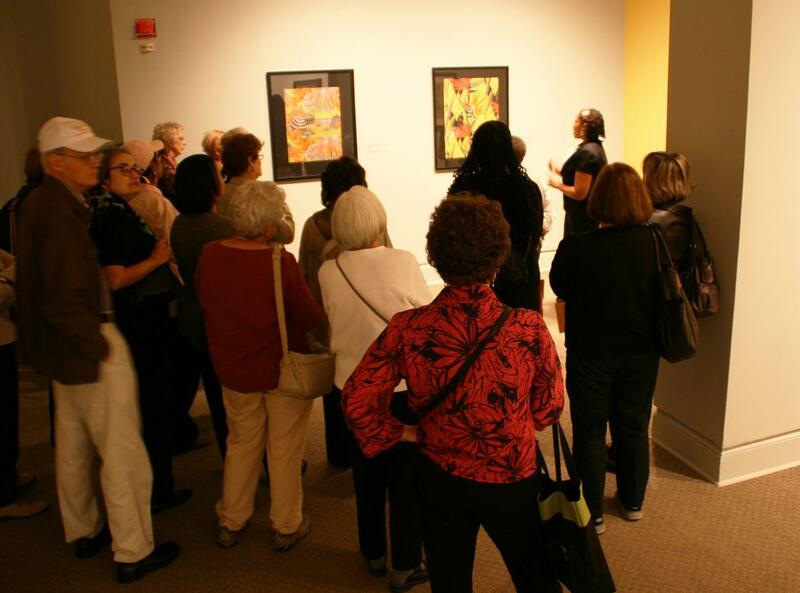 This entry was posted in NMWA Exhibitions, NMWA Members, Public Programs by Women in the arts. Bookmark the permalink.